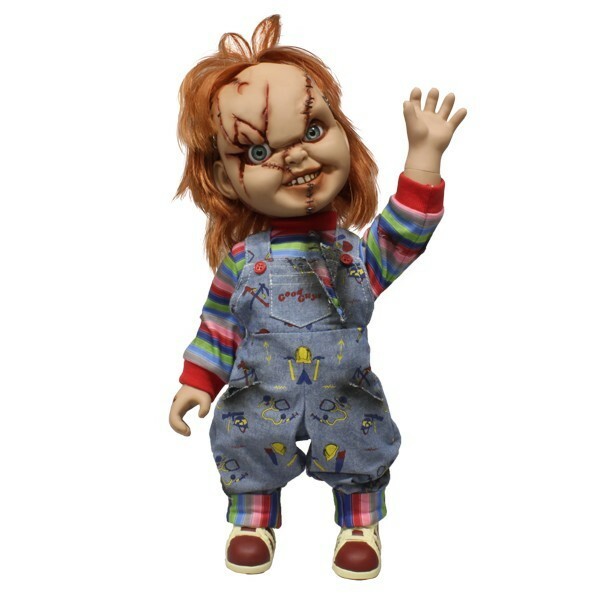 How do you make a 15inch tall homicidal doll containing the soul of a serial killer even more terrifying? 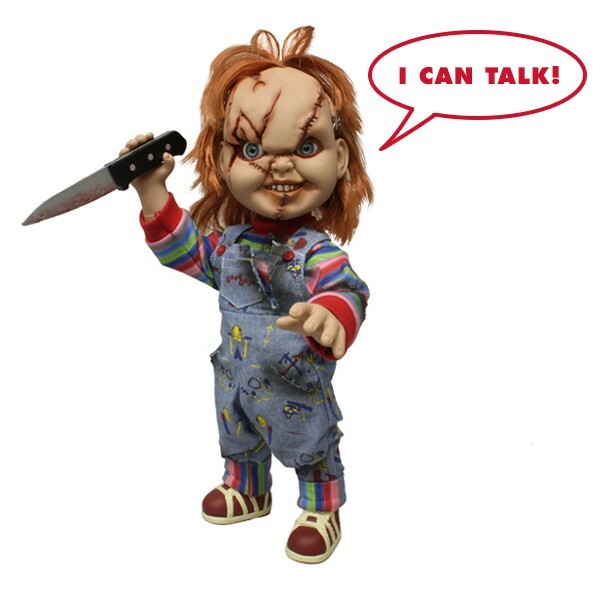 Make it talk! 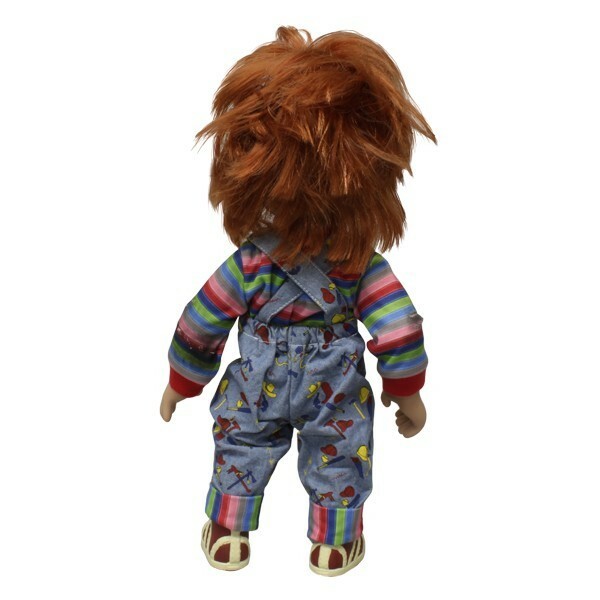 The star of five CHILD’S PLAY films, Mezco’s Chucky stands 15" tall and features real cloth Good Guys clothing, 11 points of articulation and his trademark orange hair. He also talks. 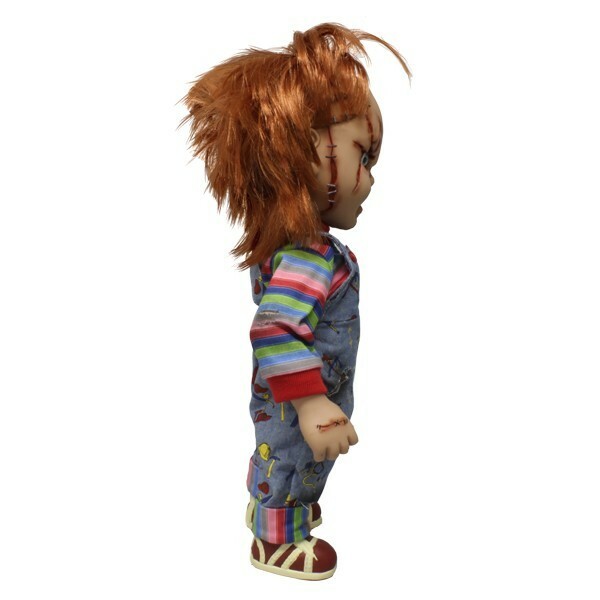 With seven spine-chilling phrases pulled directly from the films, this Chucky is guaranteed to thrill. 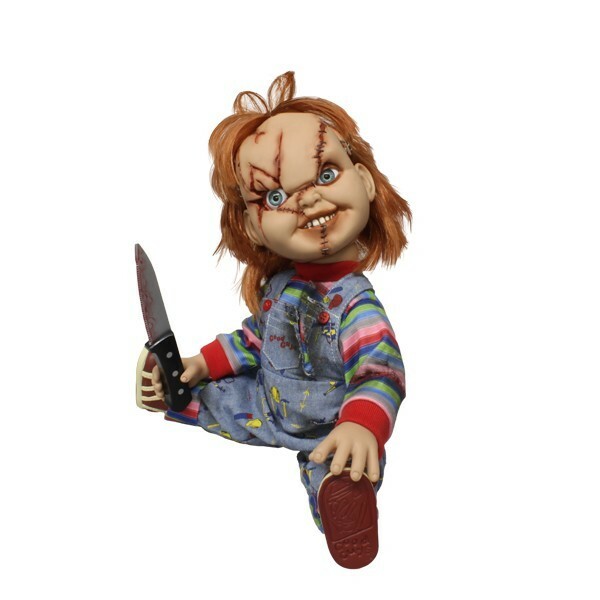 Chucky features realistic glass-like eyes, and a (plastic) knife that he is sure to use for no good. 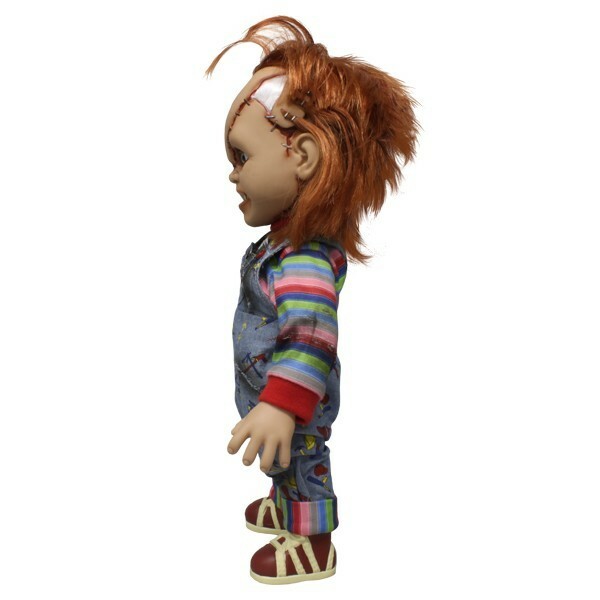 Each Chucky comes packaged in his own collector friendly, film-inspired window box. 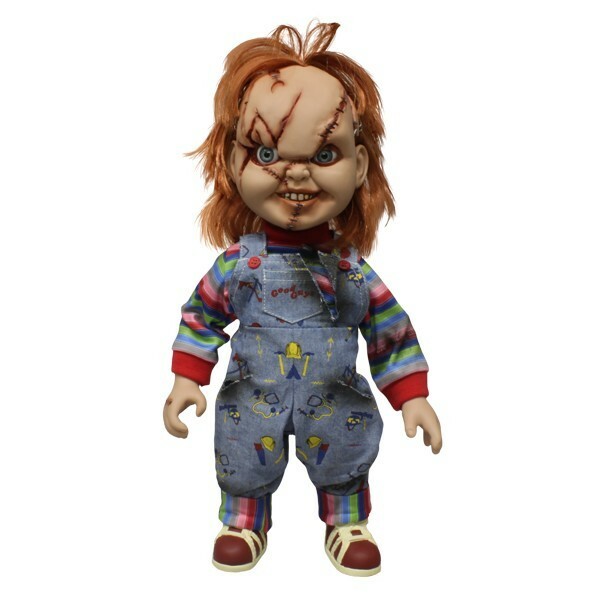 Look for Chucky in stores and listen for him in the darkness starting in September 2015. His price is $94. Available at Mezco Toyz. Remember, he’s your friend to the end!